What other JLR models will be built outside of the UK? The Land Rover Discovery is currently built at the company's Solihull plant in the United Kingdom. However, Jaguar Land Rover has announced that it will move production of the Discovery to its new facility in Nitra, Slovakia. We knew that JLR would likely move some of its production , mainly due to increased tax costs. Back in April, JLR laid off 1,000 of its 40,000 UK employees following a downturn in demand. The Discovery will likely be the first of several models to be produced outside of the UK. Even though the Discovery will move from the Solihull plant, the company is not finished building cars there. On the contrary, JLR will make "a significant investment and technology upgrade” to build future models such as the next generation Range Rover, Range Rover Sport, and Range Rover Evoque. 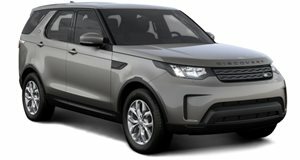 The , which will likely be based on the same platform as the Discovery, may also be built in the Solihull plant in the UK. The J-Pace would likely be built alongside future electric models such as the refreshed Jaguar XJ and future Range Rover EVs. Clearly the loss of the Discovery won't be crippling for UK production.